Roses Remembered Afghan from Leisure Arts! 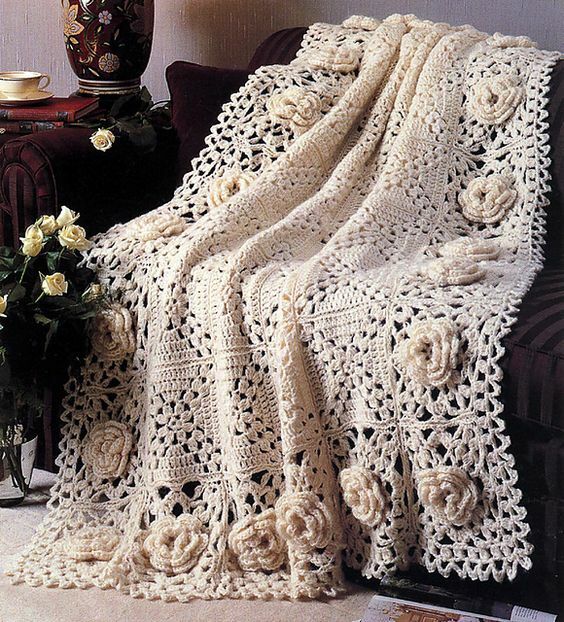 The beauty of roses will be forever fresh when you wrap up in this elegant afghan. We crocheted ours in classic ecru, but you could make yours in any color—or even in a bouquet of different colors.